Strategy and authenticity are often viewed as opposing forces in the business world, and it’s not difficult to see why: Businesses, by definition, are for-profit organizations with a primary goal of generating revenue. Because of this, companies and CEOs who give back to the local community are often unsure of how to tell others about their good deeds. “One of the biggest challenges that I see from a public relations side is that a lot of companies are committed to corporate social responsibility and are doing it for the right reason, but they don’t promote it enough,” said Josh Weiss, CEO of 10 to 1 Public Relations, one of the leading PR firms. Many companies fear seeming boastful and inauthentic if they talk too much about their socially-responsible policies or how they give back to the local community. In the name of humility, however, they’re doing themselves and their community a disfavor. All companies will face criticism eventually and, unfortunately, it takes a lot of positive things to make up for one negative. However, companies can collect these positive stories and draw on them when they need to. Promoting your dedication to CSR and giving back to the local community doesn’t have to be a huge campaign every time. It could be as simple as a photo with a caption shared on social media or as in-depth as a feature story. A recent study by Clutch shows that people are likely to support or boycott companies based on their brand values. Seventy-five percent of people (75%) are likely to start shopping at a company that supports an issue they agree with. Conversely, 59% of people are likely to stop shopping at a company that supports an issue they disagree with. People tend to view their buying decisions as an extension of their beliefs. When they see a company promoting their CSR endeavors, they won’t see it as overly self-promotional. Rather, they’ll notice the company helping the local community and associate its brand with social responsibility. The cause your company donates resources to actually needs you to be strategic. When you choose a cause that aligns with your brand and then promote your work in giving back to that cause, you are raising awareness for the cause itself and the organization(s) you’re working with. 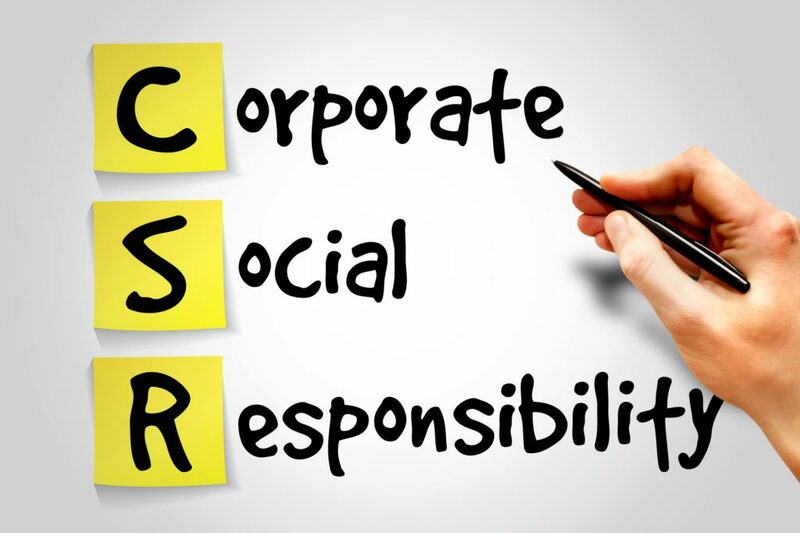 When companies approach CSR strategically, everyone wins – the company gets good coverage, consumers see the company positioned as a socially-conscious brand, and the cause/organizations its supporting gets extra coverage, boosting people’s awareness. Being strategic about CSR doesn’t mean having to sacrifice authenticity. You can preserve authenticity by identifying your brand’s values and then choosing a cause that not only closely aligns with those values, but is also one you and your company can stand behind, unwavering. “There’s nothing wrong with corporate social responsibility being a strategic decision, but it should also be one that you strongly believe in and are willing to stand up for,” Weiss said. Strategic corporate social responsibility benefits not only you and your brand, but also your customers and the cause you’re supporting. About the author: Toby Cox is a content writer and developer at Clutch, a B2B research and reviews firm, where she covers topics relating to public relations.